Your first apartment- hunting in Manhattan can be very stressful. 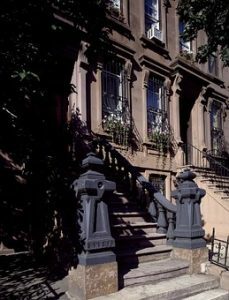 You are searching for your next place of living in the center of the Big Apple, in crowded neighborhoods and buildings. So this process can seem to you like survival but with our guide, you will be a step closer to find your first Manhattan apartment. How is it like to be a newcomer in Manhattan and to search for the first apartment? First, you need to be ready for the different lifestyle and fast way of life in Manhattan. Use help from Movers Upper West Side to relocate to Manhattan easily without troubles. If you want your movers to deliver your belongings to your new address in Manhattan apartment, you should start your search for a new home on time. Read our guide and learn how to do it. Try to get to know Manhattan during the apartment hunt so you can be completely ready for the new life and neighborhood. How far in advance to look for Manhattan apartment? When relocating to Manhattan, there are two most important things you have to do. You need to find the best Manhattan movers and safe place for living. If you want to find both, you need to start your search on time. What does it mean? You should hire a real estate agent or you can start your search online. Also, try to get to know Manhattan during the apartment hunt so you can be completely ready for the new life and neighborhood. So, start with your search for your first Manhattan apartment few months before your move and good luck! 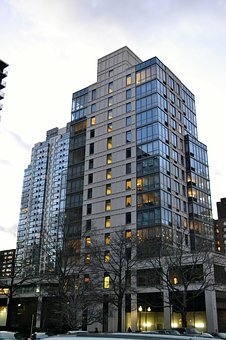 How to find an apartment in Manhattan from out of state? Are you living out of the state of New York? And you want to find an apartment in Manhattan? Start with your surf online and check all rental listings and best websites in NYC. You have to know what kind of apartments you can find in neighborhoods in Manhattan. You have to get all the information you need especially when you are searching for your first Manhattan apartment from out of the state of New York. 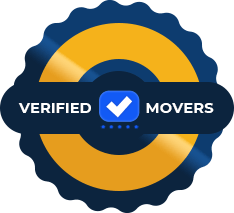 Get the best moving quotes NYC and start prepping for Manhattan relocation. If you want to know more about the look and the safety of your neighborhood the best thing you can do is to visit it before relocating. Before you move your things in your new Manhattan apartment be sure that this neighborhood feels safe and the right one for you. If you want to find the best place for you and your family, or for you as a young professional in Manhattan, you have to “feel” your new neighborhood and to get to know transportation system, rent prices, near grocery stores, medical care, etc. Make sure your first Manhattan apartment is near the subway and it is safe. How to check the safety of the neighborhood? Check the New York Police Department website for crime statistics. Other things you have to think: the number of local restaurants, grocery stores, drugstores, schools if you have children, etc. A typical budget for home rent should be equal to 25% of your monthly income. But, in NYC this percentage is often higher. You should be aware that Manhattan is a very expensive place for living. So, be smart with your budget and try to find an affordable place for living. Make sure to know the rental prices in Manhattan neighborhoods and prepare your budget for it. You need to be sure you are paying at least market price. 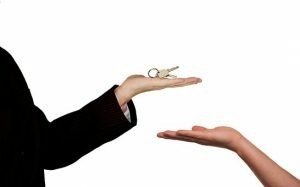 Be ready that some landlords will require paying few rents in advance. In a competitive market like is in Manhattan, you need to be ready for a quick rental deal. You have to be well organized and to prepare all the paperwork ready in advance. A color copy of your driver’s license and/or passport. When you find your first Manhattan apartment, keep in mind you need to pay the first month’s rent and a security deposit. Prices in Manhattan real estate market are higher in the summer. So, if you are moving with your family to Manhattan if you can wait until the end of summer. You will save money on your family relocation. Generally, it is possible to find cheaper apartments in Manhattan during the winter. 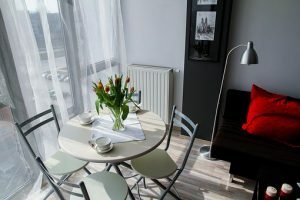 We know that finding your first Manhattan apartment isn’t easy, and it can be very expensive that’s why you should try to cut your renting costs it is possible. When you find your first Manhattan apartment or your perfect family house, don’t forget to obtain a renter’s insurance policy to protect your new living space. The price for monthly policy is small and you are getting the full coverage of your belongings. So, don’t risk damages when you can pay a small price to protect it. Finding your first Manhattan apartment is about luck and fate. If you don’t get accepted for an apartment, or if someone else gets it before you, don’t despair, and continue your search. There are many apartments in Manhattan waiting for you just be ready to rent it immediately when you see the one you like. Plan your renting strategy, budget and gather all paperwork. Good luck and happy hunt!